Professor Mona Jimenez is in the news. She has a new book, a New Museum event, and an appearance in (wait for it . . . ) Popular Mechanics magazine this month. 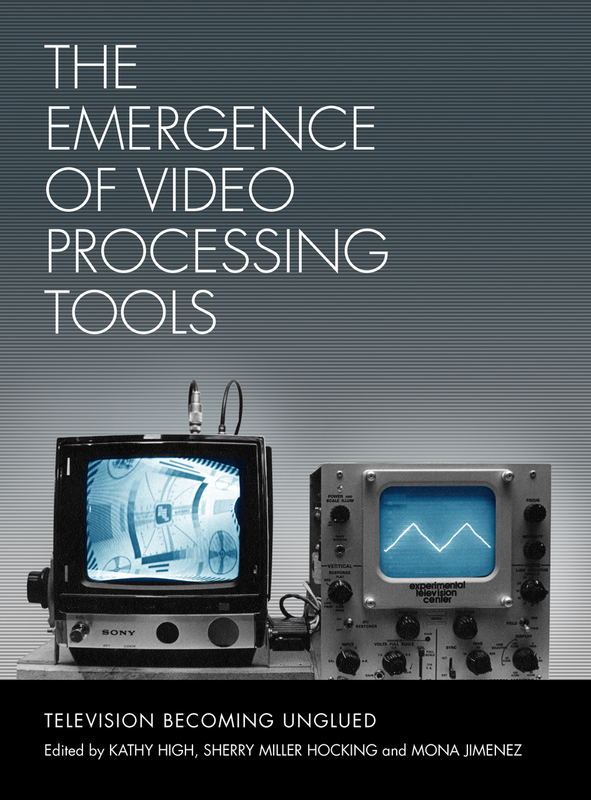 On Sunday, July 13, 3:00 p.m., the New Museum (235 Bowery in NYC) hosts the launch of her new 2-volume book: The Emergence of Video Processing Tools: Television Becoming Unglued,, co-edited with Kathy High and Sherry Miller Hocking and published by Intellect Books. The event is highlighted by a discussion with several key figures in the history of early video art and technology: inventor Dave Jones; LoVid (artists-designers Tali Hinkis and Kyle Lapidus); conservator Dragan Espenschied (Rhizome); and Hank Rudolph (coordinator of the Experimental Television Center). If you want to learn about early video tools with names such as the Wobbulator (the Raster Manipulation Unit, a video synthesizer developed by Nam June Paik and Shuya Abe), the Sandin Image Processor, the Rutt-Etra Video Synthesizer, Pantomation, or the Digital Image Articulator, you’re likely also to understand the thrills of Popular Mechanics. It was the 1980s, and Mona Jimenez was working at the Visual Studies Workshop, trying to play back a half-inch open-reel tape. The tape had fallen victim to hydrolysis, making the tape gummy. Hydrolysis, known in the video community as sticky-shed syndrome, occurs when water causes the tape adhesives to deteriorate, breaking down the magnetic media inside. When played, the picture was snowy and distorted. “That was where I first realized that older forms of video could be problematic in terms of playback,” she says. And this was the genesis of what’s become Jimenez’s life work. Now an associates arts professor in film studies and associate director of the Moving Image Archiving & Preservation (MIAP) program at New York University, she’s one of the world’s foremost video archivists, dedicated to preserving the works of video artists. MIAP is one of the few university programs in the nation devoted to video preservation. 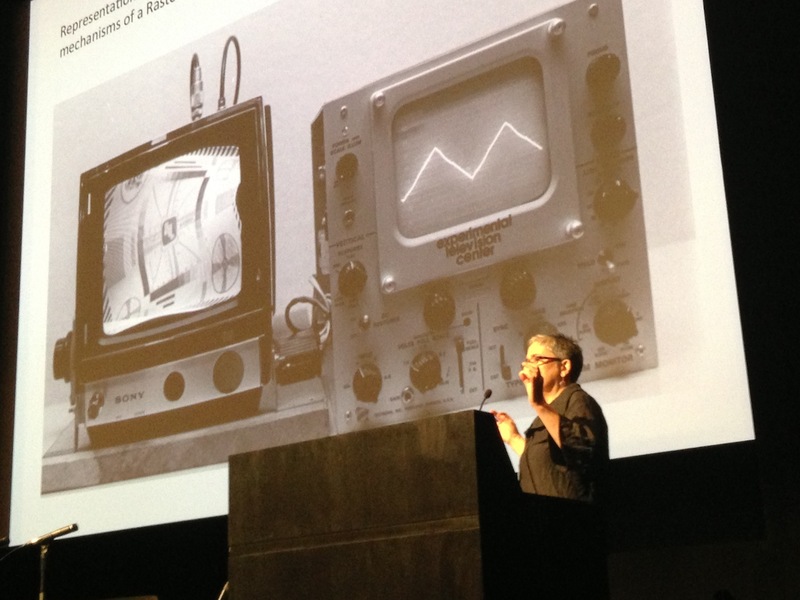 Mona Jimenez gives her talk “Free Floating TV: Custom Video Instruments of the 1970s,” at Indiana University Cinema, September 27, 2013.